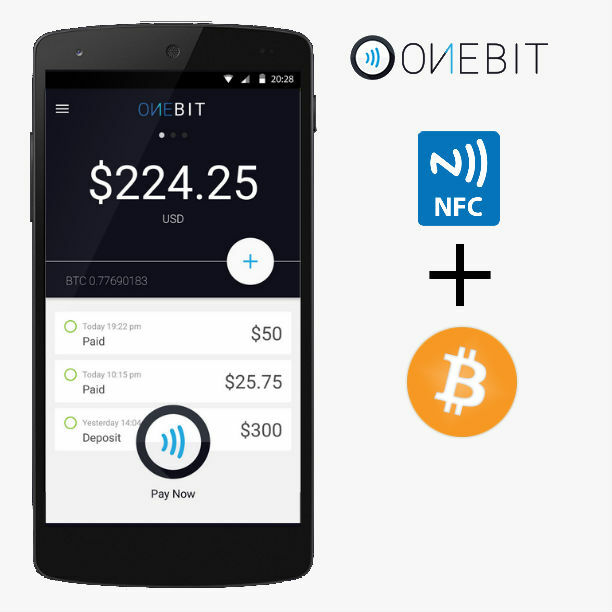 26 July 2015 – Currently in the Alpha stage of development, ONEBIT allows anyone to pay with bitcoin anywhere. ONEBIT is a bitcoin wallet app that lets you pay at any store with contactless mobile payment by giving you access to the credit card payment network. They securely convert your Bitcoin on the fly into any major local currency and pay the merchant via their NFC payment terminals. The ONEBIT app does work and it’s actually impressive. Watch this video. The developer pays for a coffee with bitcoin utilizing the NFC payment terminal at Starbucks. ONEBIT offers market rate currency conversion and charge no extra fees. No hidden fees either. They convert your bitcoin in real-time into local currency. No more shady exchanges or wire transfers needed. You can use the app at any credit card accepting merchant via NFC. Their website says, they’re moving into the beta stage of development. You can sign up for early access on their site getonebit.com.